140 characters summary: Pizza that is different but tastes amazing. I would come back and how busy it was after 8 pm is a solid indication that this place is dope. 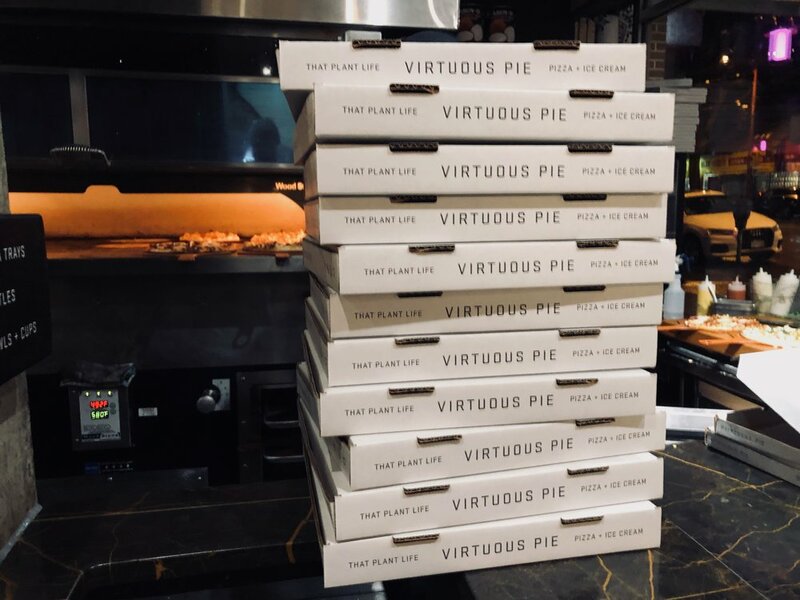 My Instagram feed is always filled with pictures of people having pizza at Virtuous Pie. Vegans and non-vegans alike seem to really enjoy the food here. I finally I had the chance to try it out this past weekend and damn... it was good. We ordered the Southern Belle and Super Funghi. 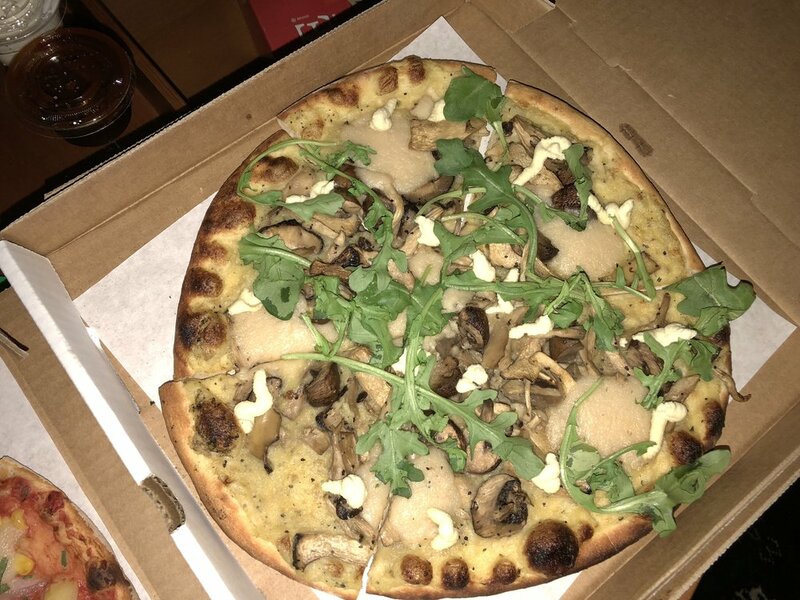 The Southern Belle is a sweet and savoury pizza with a tofu-like meat substitute that is similar to Chinese vegetarian food. The Super Fungi was lighter in flavour but packed a huge punch in weight. If I recall correctly, they used a mashed potato base and it worked perfectly. One interesting note is that I've never seen that many Asian people work in a pizza place before. Besides that random fact, I've never seen that many people work at a pizza place before LOL. Highlights: I really enjoyed watching their workflow (yes I went there, I do it for work), the pizzas were pretty damn good for a vegan pizza (I've never had a vegan pizza). Lowlights: I got hangry, not their fault. Couldn't find any negatives for them.